Quality renovated mid-century home in Oxford! Enter the foyer with tile floor leading into the renovated (2014) open concept kitchen with white raised panel cabinets, faux stone countertop, subway tile backsplash & breakfast bar adjacent the formal dining room. Generous size living room with bay window, wood burning fireplace with marble surround & refinished (2016) walnut stained hardwood floors which extend throughout most of the home. Upstairs is the owner’s suite with a private full bath with updated vanity & walk in closet. The additional bedrooms are sizable, sharing an elegantly renovated (2016) hall bath with Travertine floor & bath surround & vanity with marble top. Downstairs includes a large den with wood burning fireplace, large laundry/utility room & full bath. Other recent improvements include central HVAC (2014), dimensional roof (2014), recessed LED lighting (2018), rear deck (2016), thermal windows & recently conditioned crawlspace (2019). Conveniently located minutes from restaurants, shopping, several grocery stores & Chippenham or Powhite Pkwy! See link for video walk through or better yet, schedule a private showing before this immaculate home is gone! 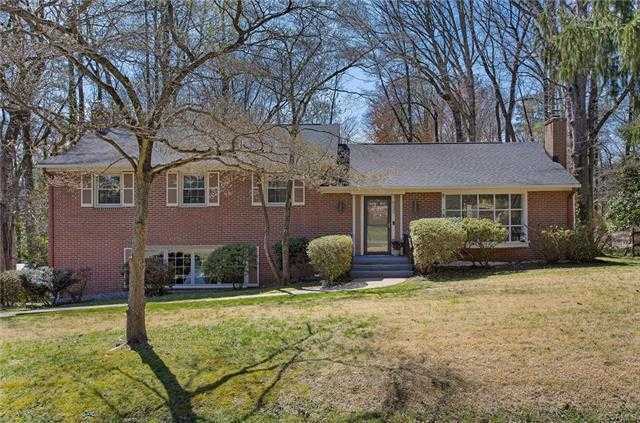 Please, send me more information on this property: MLS# 1910104 – $365,000 – 8235 Halstead Road, Richmond, VA 23235.